This week's magazine features Fiona Sampson on Clive James's translation of The Divine Comedy. For someone whose own translation of the Inferno is still widely available, Sean O'Brien proved a creditably enthusiastic reviewer of Clive James's version of Dante's The Divine Comedy. James, he wrote in the Independent, brings to the poetic trilogy "two important attributes: many years' study of the poem, and an impressively accomplished verse technique … Hearteningly, it is sound as much as sense that concerns him … The best of James's translation has a propulsive, urgent energy that finds a clear course through Dante's extended similes and his equally extended history lessons." The serial Forward prizewinner had reservations, though, about including phrases such as "heads up" and "cosy perks" and times when "from speakable English we move into the special purgatorial zone of translatorese". The London Evening Standard chose its veteran defence correspondent, Robert Fox, to assess James's translation (he was studying Dante almost 50 years ago, he pointed out mid-review). He applauded the decision to use quatrains ("this frees him and allows him to reproduce the power and urgency of the original … he restores the sense of drama, the colours and music of Dante's vision"), and the book as "a translation worthy of this and any other time, and a great piece of literature in its own right". Only James's way of "smuggling explanatory details into the verse itself", rather than using footnotes, left Fox unconvinced – he even advised turning to Dorothy L Sayers's "somewhat pedestrian translation for Penguin, if only for the notes". In the Times, Josephine Balmer also praised the "often outstanding verse", but was more attuned than her male counterparts to the autobiographical subtext. "James's recent serious illness, alongside wel-publicised marital difficulties, lend an added poignancy … his gargantuan labour appears to offer a gift of love to his Dante scholar wife, an act of contrition". Translations can show us what’s going on in an original. The tragedy is that they can never recreate it. Perhaps the only truly conscientious approach to this extraordinary work is to have, alongside the Italian, a whole shelf-full of translations, each able to throw partial light on the text. A worthy member of any such library, James’s Comedy ha the peculiar steadiness that comes from the well-balanced quatrain and familiar pentameter line. ………………………. …James is trustworthy poet-guide here as we explore once again the complexities of this multi-storied masterpiece. Nicholas Lezard considers Clive James's translation of Dante's poem an impressive feat. It's a mixed bag, but a huge one, and let no one impugn James's incredibly hard work -he's been working on this for decades - and seriousness of purpose and intent. Dante is full of conundrums for translators, and if anyone is going to bring him to a new audience, I'd far rather it was James than.... well, I'm not even going to mention his name here. P.S As of yet, there is no link to the full article. James’s recent serious illness, alongside well-publicised marriage difficulties, lend an added poignancy. Like most successful translations, there is a sense of the personal throughout; his gargantuan labour appears to offer a gift of love to his scholar wife, an act of contrition leading to acceptance and resignation, the final “refuge in muteness” George Steiner found in Paradiso. As James translates from Canto 33, here are “my own desires in their last phase/Where steady craving finally abates”. And if the lack of scholarly apparatus can, on occasion, prove more face-furrowing than page-turning, the poetry is certainly here, spurring the reader to learn more. The full review is now online. Here is the full text of Sampson's essay. "And then I eat the stick"
It clocks in at a good 14 minutes. Clive looks thin and slightly frail, but mentally he's sharp as ever. EDIT: Whoops! The link was also posted under Alerts. Forgive the redundancy. Looks like a miserable sod, and is obviously not into returning compliments. In the October 24th issue of the New York Review of Books Robert Pogue Harrison considers, in a single essay, how Dante has been treated in three recent books, Inferno by Dan Brown, Inferno translated by Mary Jo Bang and The Divine Comedy translated by Clive James. The NYRB is mixed, in the sense that it mostly knocks James's translation while occasionally throwing in a backhanded compliment. The Times Literary Supplement for Oct. 4 has also reviewed the translation, but the review isn't online and my local library still doesn't have the issue. More fool the TLS. Need a new paradigm for the digital age. What? It does, and you can read what it is here. There is certainly no complete English version that manages to do it all: to capture Dante’s delicacy, his violence, his irony, his ability to soar into the divine abstraction of desire, his combination of physical immediacy and metaphysical urgency, his material weight and his spiritual profundity. 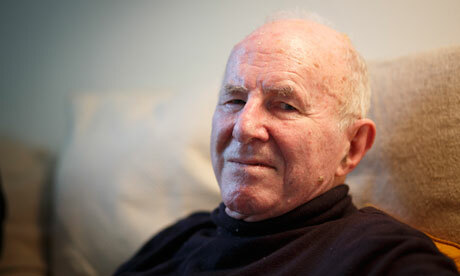 Clive James’ translation of the The Divine Comedy has been shortlisted for the 2013 Costa Poetry Award. "Surely somewhere in the outer circles of those regions there is a place for those who spend their lives poring over footnotes to literary classics. And somewhere, perhaps a little further in, a place for those who respond to a massive literary effort with an account of its shortcomings." <Like>, as the folks of today say. The Financial Times "Books of the Year" Feature (http://www.ft.com/intl/cms/s/2/f60b681e-529f-11e3-8586-00144feabdc0.html) includes Simon Schama's selection: "For those who have never quite managed the reverence for Dante required of the well-read, there is at last a translation that makes The Divine Comedy everything it’s billed: Clive James’s version in quatrain (Picador). Suddenly the voice – from teasingly conversational to clangorously epic to tenderly lyric – is right beside you even when it’s a talking beast." The main difference from the original is that the interlocking triple rhymes of terza rima have gone, but, since James’s quatrains regularly run on over the four lines, the verse has a rolling feel that echoes Dante’s strong forward movement. James can also at times add in an extra pair of rhymes which brings him close to actual terza rima. The overall result is a dusted-down, up-front Dante we haven’t seen before, a Dante who by and large speaks in forceful, modern English, give or take the occasional poeticism imposed by rhyme, who says what he means and who implicitly proclaims his readability. With some Justification, James claims that he now sees his poetic career as having been a preparation for this Dante translation, ten years in the making. [...] There is little sense, though, of Dante being dumbed down; particularly in doctrinal and polemical passages, there is a lot packed into long sentences that snake over strings of quatrains and acquire added syntactic complexity from the parenthetic glossing. At his best James balances complexity and forward impetus in a way no other contemporary version manages, probably achieving his best results with Purgatorio and Paradiso rather than Inferno. His versions of the life of St Dominic in Paradiso 12 and of Dante’s initiation into the wonders of the Empyrean in Paradiso 30 are in many ways tours de force. [...] For all the points that could be picked on, Clive James’s idiosyncratic Comedy has a more Dantesque feel to it than most English versions. It is energetic, informative, alive, at times attention-seizing, and for the most part actually enjoyable. Its overall readability gives it a much better chance than most of launching newcomers into Dante’s difficult waters and of keeping their boats afloat for longer.